Raising awareness of farm stress is important, but offering some tools to help weather the stress is critical. 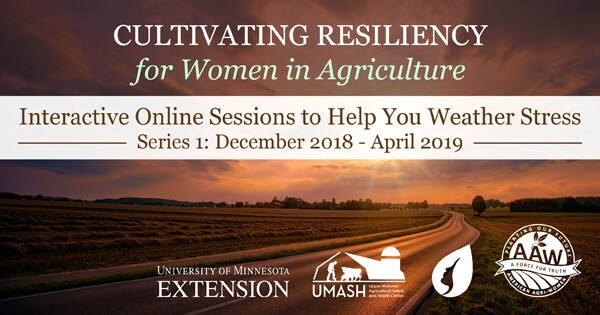 This new interactive online series sets out to help women in agriculture cultivate resiliency by focusing on what they can control in these challenging times and connect them with resources and information that can help them weather stress. Series one will consist of six interactive sessions that will be 90 minutes in length and include a topic for discussion and then an interactive Q & A period. All webinars are held at 12 noon Central Time. View recordings of past webinars below, or register for upcoming sessions. You must register to view the recordings. In this session, Shauna and Brenda will define and discuss farming and ranching stress that may be affecting women in agriculture. The presenters will address possible outcomes of excessive worrying and hopelessness. Dealing with stress in healthy and healing ways will be highlighted. 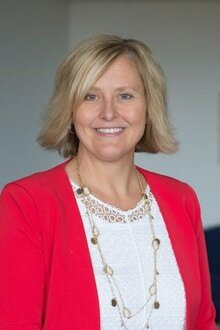 In this session, Shauna and Brenda will provide a brief overview of how stress affects our health and well-being. Exploring self-care practices as an option to deal with worrying and stress will occur. Participants will learn about a practical tool to build and implement an individualized stress-reduction plan. The importance of connecting with others as part of self-care will also be addressed. You Can’t Pour from an Empty Cup - How Do You Fill It Up to Support Yourself and Others? In this session, Shauna and Brenda will share how stress, when not addressed, can deplete farming and ranching women’s energy and their ability to effectively keep up with their responsibilities. Participants will learn ways to manage stress and come up with ways to prioritize to keep energy high and meet many demands. 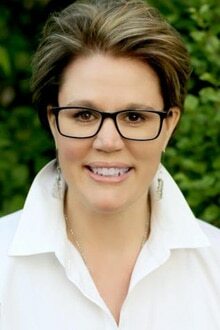 In this session, Shauna will share the importance of relationships in farming and ranching lives. Ways to initiate, maintain or improve communication with spouses, family members, neighbors and community members will be discussed. In this session, Shauna and Brenda will focus on increasing joy and happiness in your farm life. Self-compassion, random acts of kindness and expressing gratitude are practical ideas that will be further explored to bolster positive feelings. In this wrap-up session, Shauna and Brenda will summarize the information presented throughout the Cultivating Resiliency series of webinars. Time will be spent answering questions or addressing topics that were not touched on based on feedback from participants. Be prepared to ask questions or make comments and the presenter will respond.